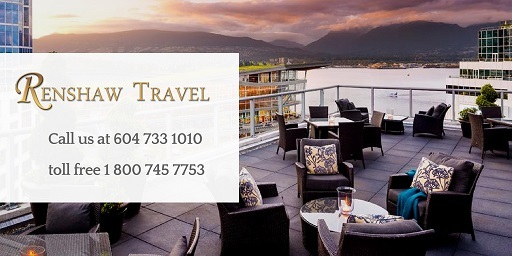 *Receive a $1000 travel credit per person if you reserve your spot by November 15th. 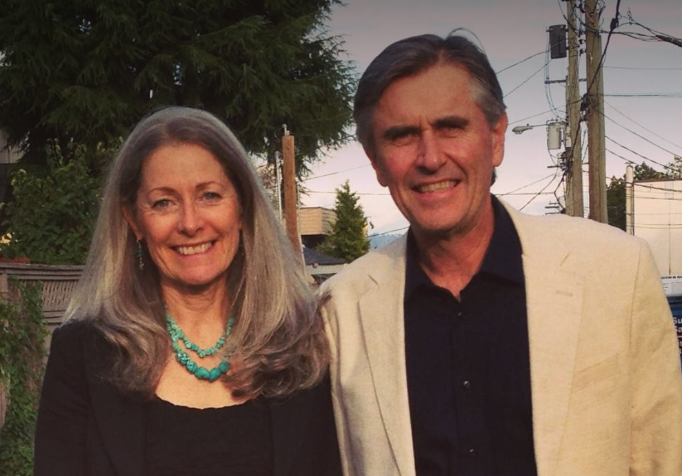 This Golf Expedition is hosted by Don and Dianne Renshaw - owner of Renshaw Travel in Vancouver. This expedition offers a totally unique take on a traditional golfing holiday. Not only does your ‘floating hotel’ negate the need for constant packing and unpacking, but you’ll also enjoy breathtaking views and convenient access to the golf courses, as we shuttle you effortlessly from one to the next. *Pay a 20% deposit by November 15th and receive $1,000 off these rates!!! 1. We take care of you! On our golf expeditions, we make sure your green fees are covered and you don’t have to worry about transport. Each morning we transfer your golf clubs via zodiac to your next exciting golf course. 2. We make sure we go to some of the finest golf courses in the world. The golf courses visited constantly rank amongst the 100 best golf courses in the world. 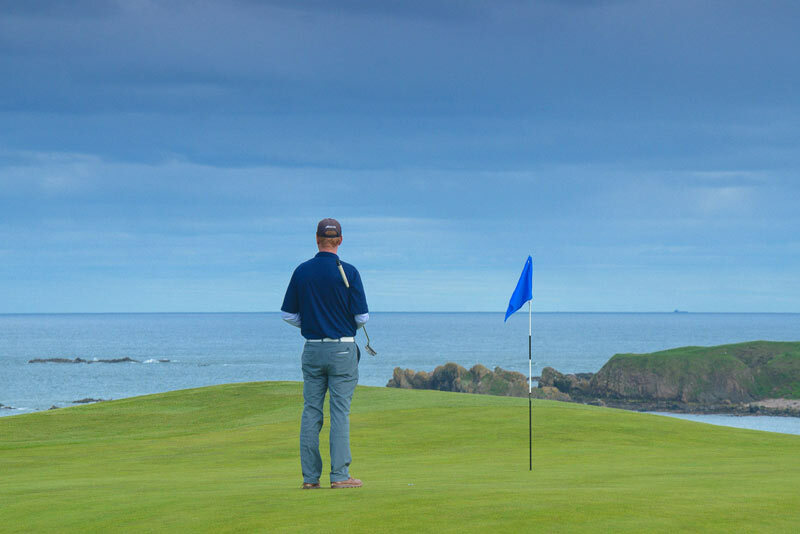 On our Scotland and Ireland golf expedition, you can choose from six of the world’s Top 100 golf courses – in the birthplace of the modern game. 3. 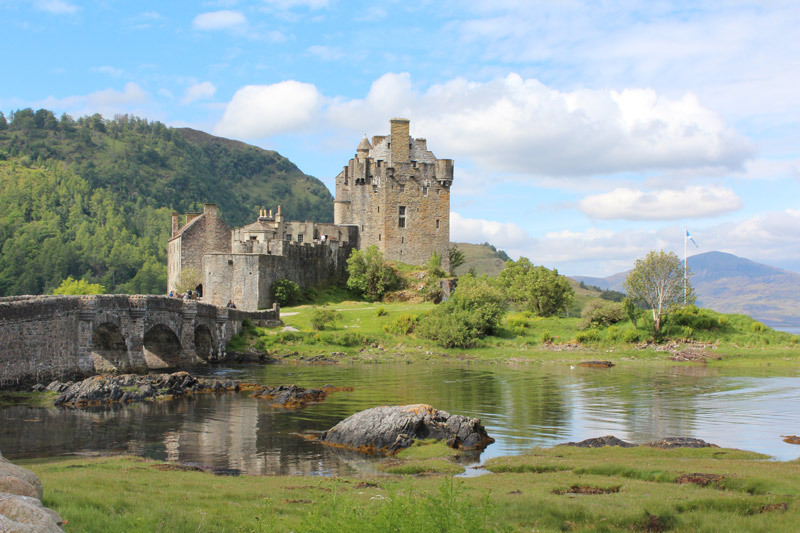 Golfing and history go hand in hand in Scotland, with the chance to visit Viking settlements and ancient castles on our way to the next exciting golf course. 4. Ever fancied tasting some Scottish whiskey straight from the barrel? We make that happen with a range of distillery visits included! 5. Take a break from golfing and enjoy cycling, stand-up paddling or sea kayaking. 6. Take in the magnificent coastal settings each of the selected golf courses offer while you are working on your hole-in-one. 7. ‘Old Tom Morris’ shows us the way as we explore Scotland’s coast; one of the most iconic golf course developers in history. His courses are an incredible challenge for all skill levels. at our central meeting point then transfer to the pier for embarkation. Once on board and settled in our rooms we enjoy a welcome cocktail and dinner before casting off and heading north, up the rugged Irish coast. Later we can relax on deck with an Irish whiskey and compare our ‘almost had a hole in one’ golfing stories with fellow travelers. will take you to a beautiful shore line for a sandy stroll or a cliffside hike. The peaceful village of nearby Campbeltown was once known as the “whisky capital of the world” as it was home to 34 distilleries. Only three remain today and are all worth a visit. superb destination for a large number of non-golfing activities, including kayaking, hiking, cycling, surfing and wildlife watching. Today we wake up anchored off the shores of South Uist, the second largest island of the Outer Hebrides. Awaiting the golfers is another course of great historical significance. Commissioned in 1891 by Lady Cathcart, the landowner, and also built by Old Tom Morris, this course thrived until the First World War. Then for almost 100 years it sat untouched and untended until in 2005 a group of locals, with the help of some of golf’s biggest names, brought it back to life. A true links course providing a challenging test, we play through beautiful rolling dunes alongside the bracing Atlantic Ocean. Golf is not the only history on these ancient isle. Those up for a hike can explore the beautiful white sand beaches while searching for the mysterious Standing Stones scattered throughout the Outer Hebrides. Cyclists can stretch their legs and take in part of the 300km Hebridean Way – a route that uses the tiny coastal roads to explore 10 of the islands in the archipelago. A visit to the Kildonan Centre with its excellent Museum and cafe is another interesting activity. Today we anchor at the beautiful seaside town of Kirkwall, capital of the Orkney Islands. 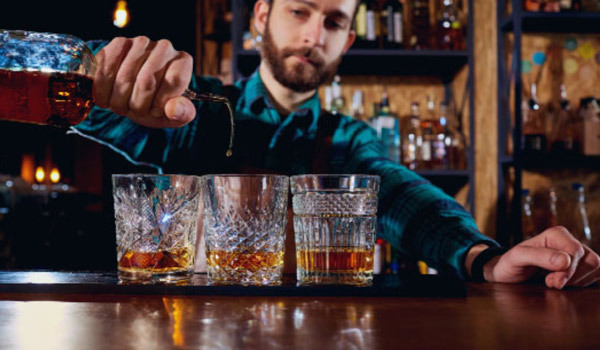 Wander through town exploring local crafts, art galleries, an unexpected collection of silversmith artists, or perhaps a tour and tasting at the Highland Park Distillery! A visit to St. Magnus Cathedral is an absolute ‘must’. Started in 1137, it was built when the Vikings still ruled the Orkneys. Later in the day we head to Skara Brae, an outstanding Neolithic village and UNESCO World Heritage Site established over 5000 years ago. Yet another option is to visit the ‘Italian Chapel’ built by World War II Italian POWs, conveniently located near the Scapa Distillery and Visitor Centre. While there is a golf course in Kirkwall, golfers may want to take the day off to conserve their energy for the next two days of golfing challenges. Having spent the last few days ‘off the beaten track’, exploring a less known side of Scotland, we now rejoin golfing nobility, experiencing some of the most famous courses in the world. From our anchorage in Inverness we transfer to play a choice of two courses. 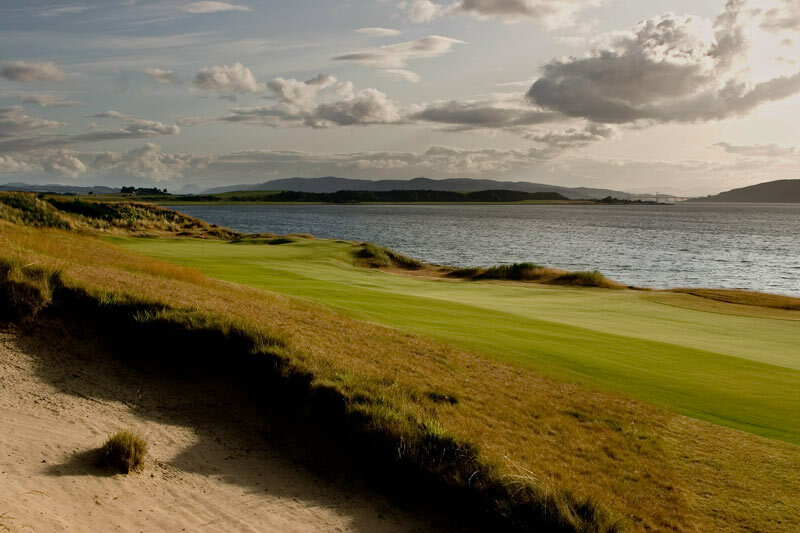 Castle Stuart (#53), a fairly new layout, opened in 2009 and quickly made the world’s top 100. With dramatic views over the Moray Firth out to the Black Isle, this championship course will test your mettle. The views are matched by the drama of these tees – holes 1 and 10 are cut into the cliffside and demand an adrenalin inducing drive to the fairways below. The Royal Dornoch (#2) officially opened in 1616, but the current club was established in 1886 by Old Tom Morris. Following the curve of the Dornoch Firth and its white sand beaches, this course rolls through hillocks, ridges, and classic dunes. If you have an interest in local history we’ll head to Culloden Moor, where the Jacobites fought their final battle in 1745. The Living History presentation will bring this epic battle to life, right before your eyes. The more curious in the group may want to take a day trip to Loch Ness for a chance viewing 'Nessie' - the Loch Ness Monster. 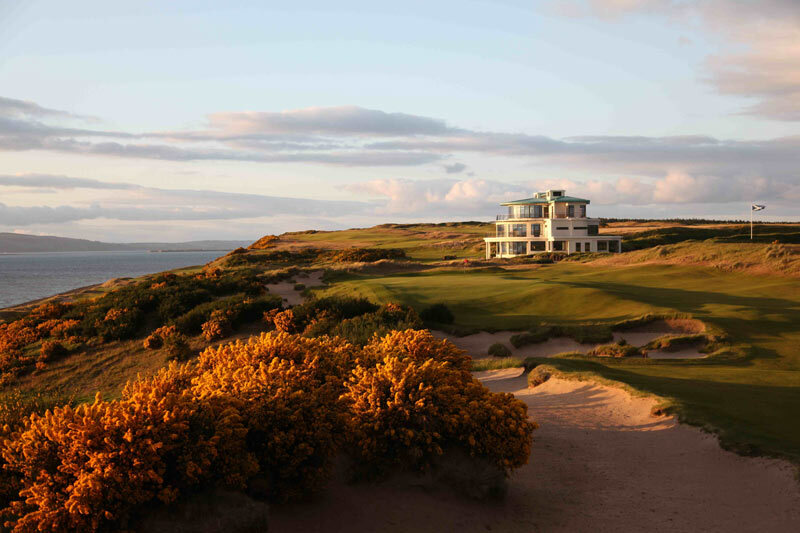 We anchor today at Aberdeen, where again we have the choice of playing two different courses – Cruden Bay (#56) or the historic Balgownie course at Royal Aberdeen (#71). 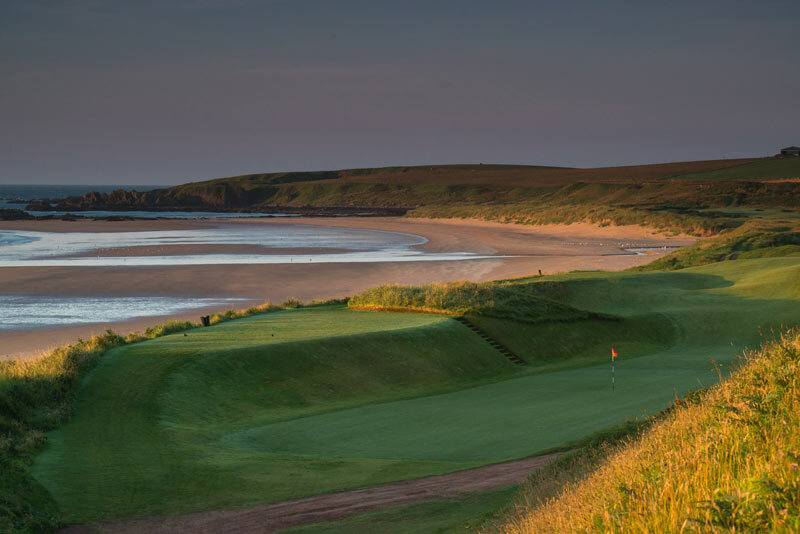 Those playing Cruden Bay will again find themselves walking in the footsteps of course designer Old Tom Morris. While Cruden Bay is, above all, a classic links course, it is also known for having a number of unusually quirky holes. The Royal Aberdeen Golf Club was founded in 1780 and is the sixth oldest golf club in the world. The course hosted the Scottish Open in 2014, won by England's Justin Rose. The 8th hole at Royal Aberdeen is a testing par 3 at 147 yards. The green is surrounded by no less than 10 bunkers and wayward tee shots will be punished. This morning we arrive at Edinburgh, the Scottish capital and your disembarkation point. After breakfast it is time to bid farewell to your crew and fellow travellers as we disembark RCGS Resolute. A transfer to downtown Edinburgh, and Edinburgh Airport, is provided for all guests, however Edinburgh is well worth a day or two of exploration if your schedule allows.